NSEA 2018: The registration has been started from 1 August 2018. The registration in NSEA is only possible through schools or registered centres. National Standard Examination in Astronomy which is commonly known as NSEA is an examination for the school students of up to class 12. NSEA is conducted annually. 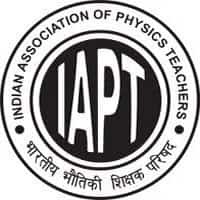 NSEA contest is organized by the Indian Association of Physics Teachers (IAPT) and is the first step for the selection of students in the Astronomy Olympiad Program. This contest is first of its kind and the Only Screening Test leading towards the International Olympiad and thus, offers participants an opportunity to enrich their educational skills. NSEA Exam will be held on 25 November 2018 from all over the country can participate in this. Scroll down to read more on NSEA 2018. The candidates can write NSEA 2018 in both Hindi and English language. Latest Update: NSEA 2018 registration has been started from 1 August. Students on qualifying the NSEA contest will be eligible for participating in Indian National Astronomy Olympiad that is the second subsequent stage for participation in International Olympiad in Astronomy and Astrophysics 2018. Certificates will be given to top 10% students of every centre. Merit Certificates will be given to top 1% students in each state for the subject. National top 1% students will receive Special Merit Certificates along with a book. Top 35 students will be given Gold Medals. Candidates have to register through their schools or registered centres. The registration form of the National Standard Examination in Astronomy can only be filled by the Institutions. The registration fee for NSEA 2018 is 150 rupees. NSEA 2018 application form will be available on the link below. STEP 1: The schools have to follow the link given below in order to apply for the NSEA Olympiad. NSEA Admit Card will be available to download for the candidates to appear in the examination scheduled to be conducted on 25 November 2018. The dates for the same will be notified later. Candidates are selected based on marks obtained in the NSEA Examination by the candidate. More the marks obtained by the candidates more will be their probability of being selected. The NSEA result will be declared in the first week of January 2018 for the exam scheduled to be conducted on 25 November 2018. Syllabus of the senior secondary level of CBSE up to class 12 is recommended for the preparation of the NSEA examination. Subjects such as Physics (calculus not expected), Mathematics and Elementary Astronomy will be given greater importance for the examination purpose. L-117/302, Naveen Nagar, Kanpur (U.P) - 208 025. NSEA result will be declared separately for Class 11 and Class 12. Candidates can check NSEA result 2018 here as soon as it releases. However, the previous year result of NSEA is available below in pdf format. A total number of 656 students were selected from class 11 and a total of 1393 were selected from class 12. Check NSEA Result below.